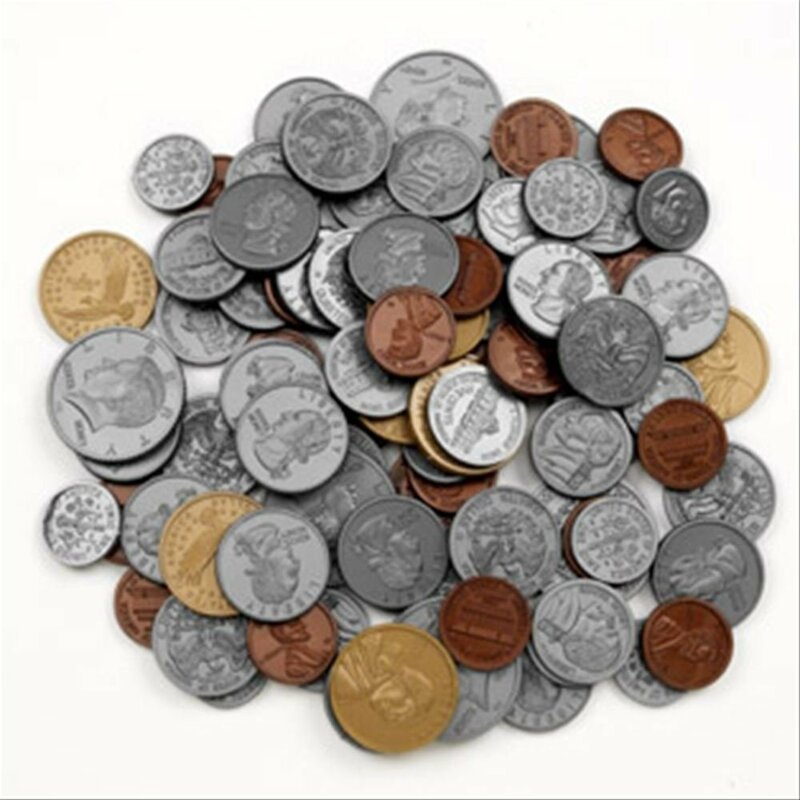 Home › Toys › Learning Resources - Play Money Coin Set - 30 Pennies 20 Each Of Nickles Dime..
Learning Resources - Play Money Coin Set - 30 Pennies 20 Each Of Nickles Dime..
Includes 30 pennies, 20 nickels, dimes and quarters, four half-dollars, and 2 Sacagawea coins. Size: 2 Pack Set of 96 realistic-looking plastic coins includes 30 pennies, 20 nickels,dimes and quarters, four half-dollars, and 2 Sacagawea coins. Coins featureserrated edges.